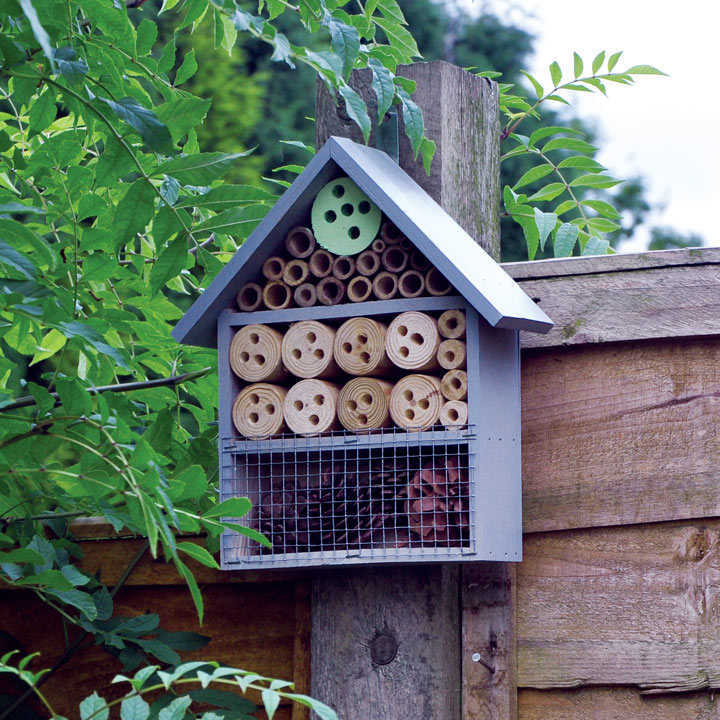 An attractive wooden insect and bee hotel. Made of natural wood painted in a gloss grey and decorated with pine cones. The hotel can either be left freestanding or fixed to a wall. Dimensions - 29cm high, 25cm wide and 8.5cm depth.